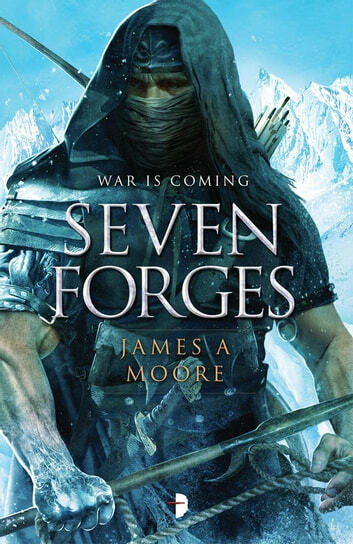 Captain Merros Dulver is the first in many lifetimes to find a path beyond the great mountains known as the Seven Forges and encounter, at last, the half-forgotten race who live there. And it would appear that they were expecting him. As he returns home, bringing an entourage of strangers with him, he starts to wonder whether his discovery has been such a good thing. For the gods of this lost race are the gods of war, and their memories of that far-off cataclysm have not faded. The people of Fellein have live with legends for many centuries. To their far north, the Blasted Lands, a legacy of an ancient time of cataclysm, are vast, desolate and impassable, but that doesn't stop the occasional expedition into their fringes in search of any trace of the ancients who had once lived there... and oft-rumored riches. wow! what anticipation! what characters! what humour! what excellent story telling. I cant wait for the next installment. One of the best series I've read this year. I was lucky enough to start this series after they were all finished and what a roller coaster of action all I have to say is wow.